I have a talent for words. At first, the poem comes off as self-critical–a child lacking confidence and worrying about their place in the world. 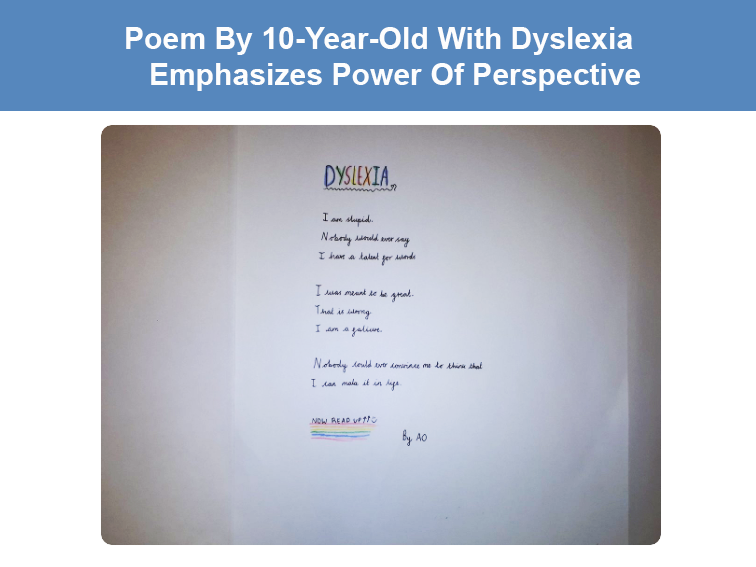 But then you read from the bottom up (as is clarified at the bottom of the poem) and you see the power of perspective and the kinds of things we take for granted as readers.